Saudi Crown Prince Mohammed bin Salman has escaped an assassination attempt by his brother Bandar bin Salman, an Israeli newspaper reports. Bin Salman’s brother had promised an officer in charge of protecting the crown prince 10 million Saudi rials if he assassinated the powerful heir to rule the kingdom, Makor Rishon reported earlier this week. 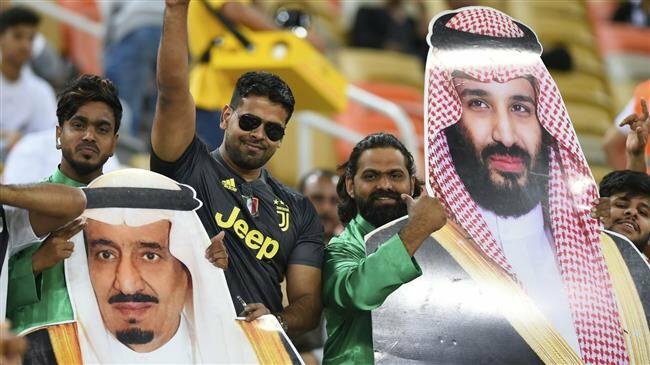 The plot, however, was uncovered beforehand by bin Salman who ordered the arrest of his brother and the security officer, it added. The report cannot be independently verified. According to the Israeli newspaper, a new security team described as a rapid response unit had been formed to protect the crown prince inside the kingdom and abroad following the plot. The alleged assassination attempt came after the British daily The Guardian reported rising tensions between bin Salman and his father, King Salman bin Abdulaziz Al Saud, over important policy issues. A source told the newspaper that tensions between the king and the crown prince dramatically increased late February when the former visited Egypt for a joint summit between European Union and Arab League leaders at Sharm el-Sheikh. According to the paper, the king was warned by advisers of a potential move against him to the extent that a new security team of more than 30 hand-picked loyalists from the interior ministry was flown to Egypt to replace the existing team. “Some of the original security staff might have been loyal to the prince,” Guardian quoted the source as saying. The prince’s handling of the Saudi war on Yemen along with the murder of Saudi dissident journalist Jamal Khashoggi are said to have led to heightened rift between the king and the crown prince, it said. Bin Salman is known as the architect of the bloody war on Yemen. The heir to the Saudi throne is also reported to have ordered the assassination of Khashoggi – an outspoken critic of bin Salman’s policies – last October at Riyadh’s Istanbul consulate.